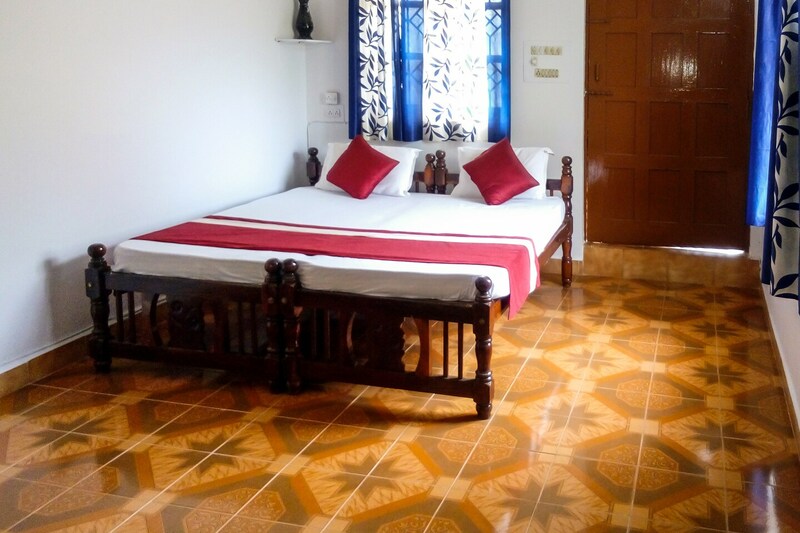 The home stay is located on the Baga beach road in Goa. It is a cosy niche located 40 metres from the beach. The hotel rooms are simple and done with minimalistic decor but give you a cosy balcony with a view of the beach. There is seating space in the balcony for leisure evening as well. The hotel room consist of twin single bed, geyser, air conditioning and television for the guests. There are windows in the room with ample natural lighting as well. The bathrooms are clean and hygienic too. While staying here you can visit Calangute beach as well.